Delhi veteran MC Heam is all set to shake the underground with his upcoming track Kaliyug. Fans have been anticipating the release of this video for quite a long time now. Known for his killer Hindi rhymes, Heam is no less than a pioneer of Hindi rap game. Kaliyug uncovers a whole new side of the emcee and we love the recent trailer! Kaliyug’s one minute trailer is dramatic in every sense. From scenic locations to the fresh new look donned by Heam, it is evident that this is going to be a one of kind release. MC Heam has many times drawn inspiration from Sanskrit language and its scriptures. Kali Yuga means the ‘Age of Downfall’ which happens to be the fourth stage of world development we are currently living in. MC Heam opened up to Desi Hip Hop about his experience of making this video. Talking about the track he mentioned penning his own experiences as a person living in the world predicted by Lord Ram. All the evilness lurking around us proves the prediction right. Ina Zhimo aka DJ Ina from Nagaland, Northeast has produced this joint. Mumbai-based production house Revolt Art Technology has made the video for this track. “It was a really great experience for me to work with Revolt Art Technology. I don’t like to face the camera but they made me feel comfortable,” says Heam. He further added, “It was a cold night of December when we shot this video. I was freezing and shivering while shooting it but there was one thing on my mind that this is the last shot. I have to level up if I back out right now maybe I won’t be able to do it again.” Such is the dedication of the team working on this project. Surprisingly, Kaliyug has shot almost two years ago and is finally being released on July 16, 2017. The rapper has kept his fan base waiting for a long time. From the first look however we are confident it will be worth the wait. 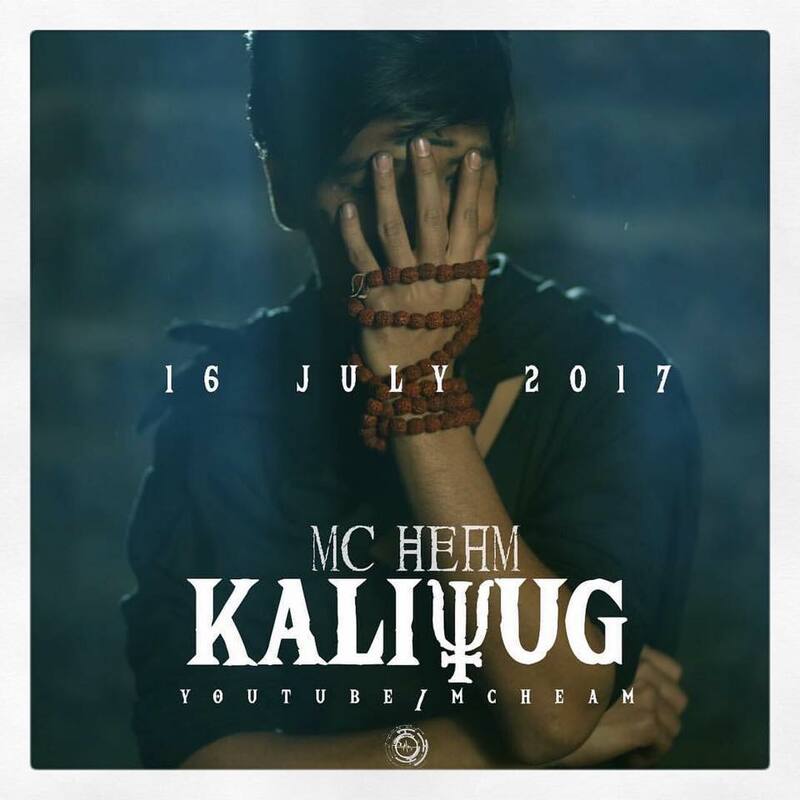 Watch the trailer for MC Heam starred Kaliyug, and let us know what you think of it!